Again I saw a card on Pinterest I liked, so gave it a go and this is my version. 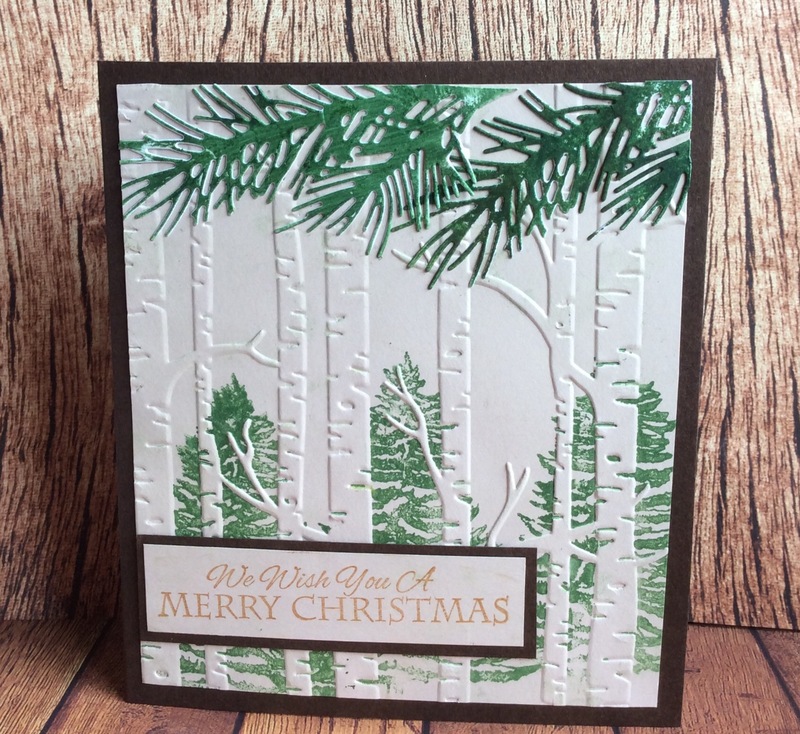 Sheena Douglas tree stamps, XCut word die and Spellbinders branches. I used Snowtex for the snowy effect. 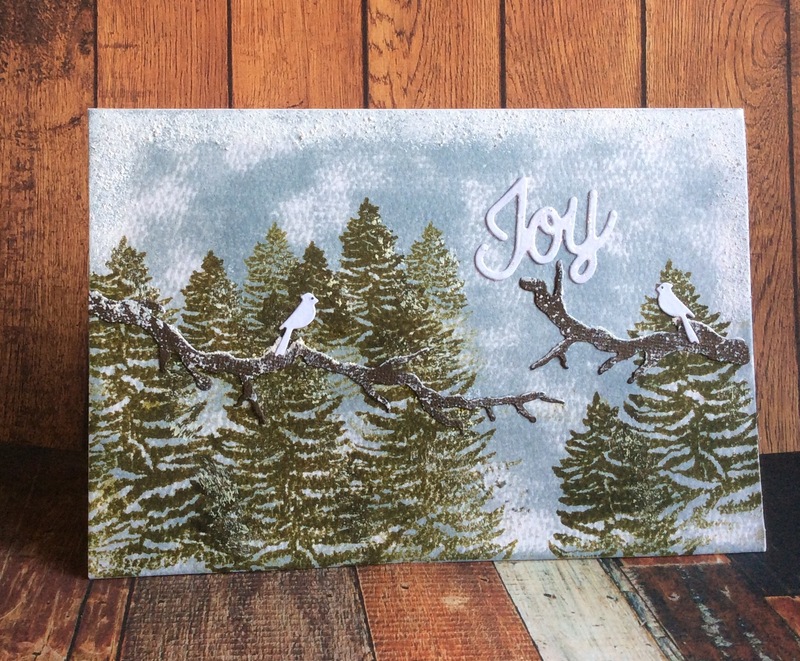 Tim Holtz distress inks for trees and background. 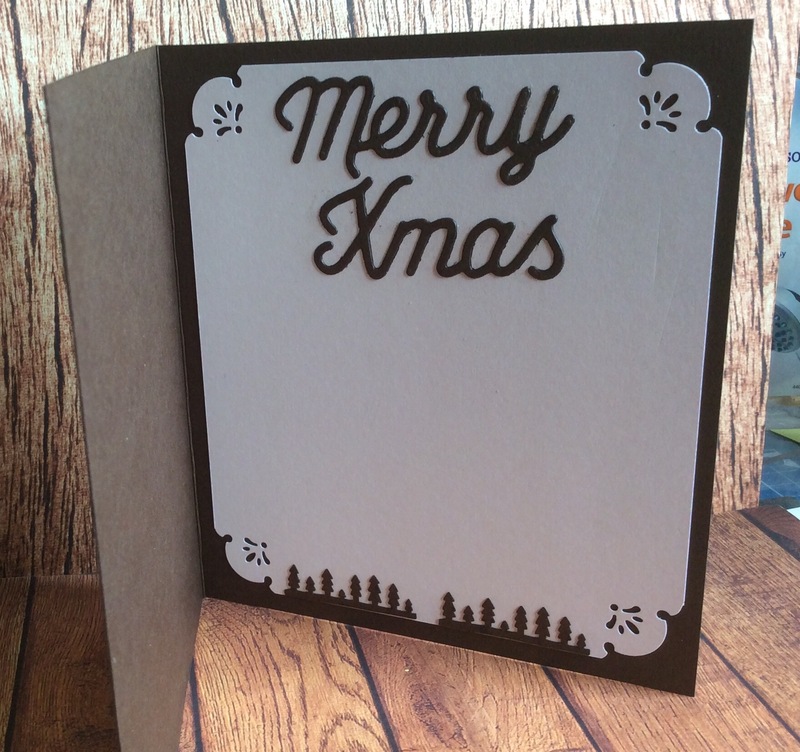 I bought this Spellbinders die as I like the Xmas scene feel of it. It’s a bugger to remove from the die though, as I so often find with intricate Spellbinders dies. I layered this onto hammered cream card and Gold Miri card. Message is from my stash, and gold heat embossed. Still having fun with my new embossing folder from Stampin Up! Here I added Impression Obsession branch die and the same Sheena Douglas stamp as my last post. 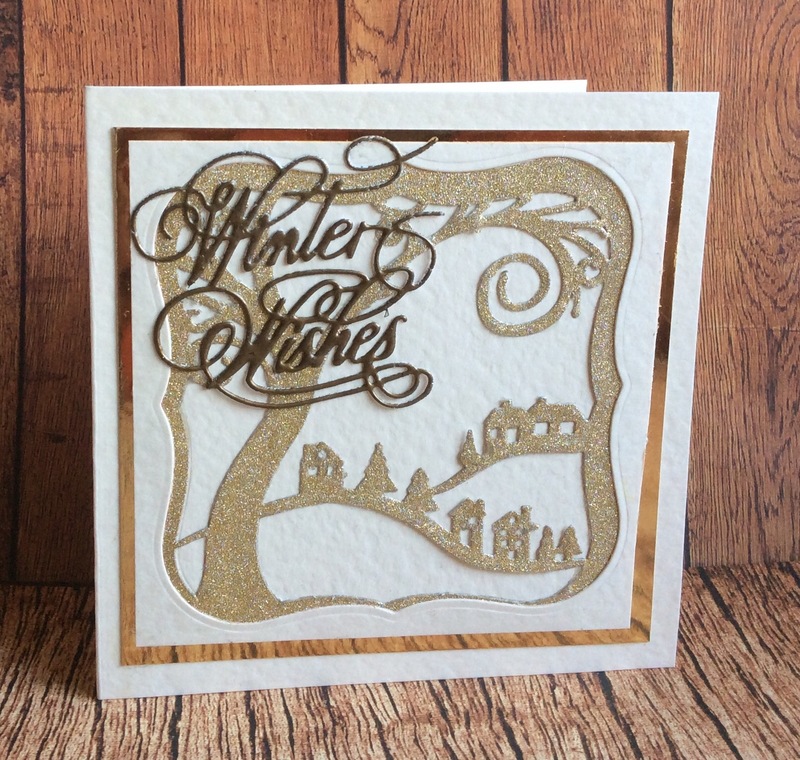 I inked the embossing folder with a Sheena Douglas tree stamp.Backed it onto brown card. Saw a similar card on a Pinterest and tried my hand at. I’m pleased with the sharp look of this card. I might make a batch of ’em! 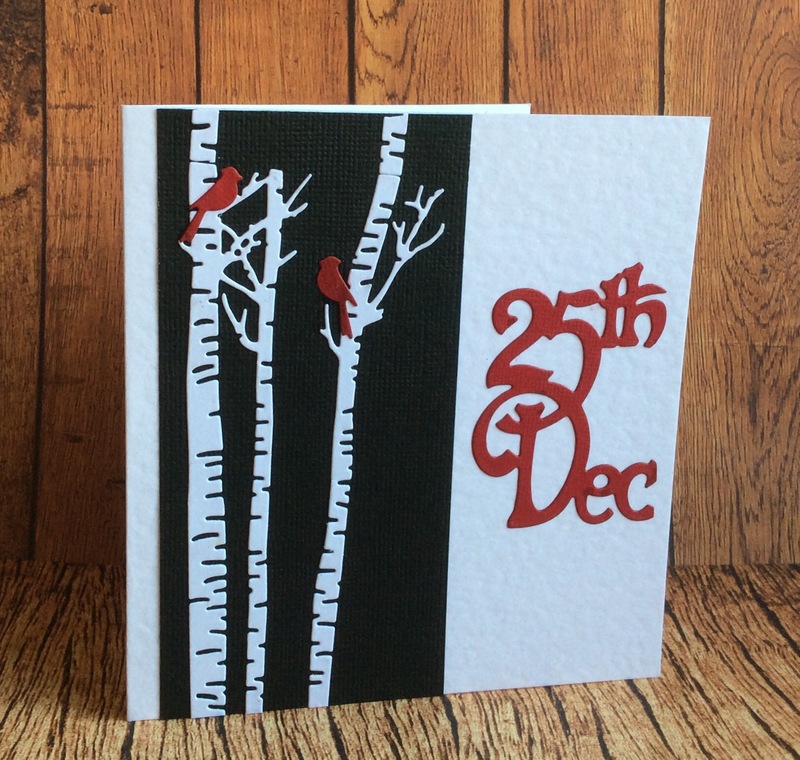 Well, Christmas card making time has come around again! Ive spent over five hours card making today, and have only made three cards! But as every crafter knows, it’s the figuring out what to make that takes the time! Here is my tag shape card, and my attempts at a ‘clean and simple’ style. I had this idea to make my cards this year in the shape of tags, but think the top needs to be more distinct and the cut away sides longer/deeper. What say you?